Dog Obedience Training can seem like a overwhelming task, but it doesn’t have to be. When you turn it into a game it becomes a lot more fun and a lot less work. In order to effectively train your dog, it is important that your dog wants to do it. For this reason we make training sessions more like playtime. This is not to say that dog obedience training shouldn’t be structured. But the training does need to be enjoyable in order to keep the dog engaged and excited about it. It is a proven fact that we learn faster when it is fun. Dogs are no different. Most dogs also learn better when they are in familiar surroundings or in their home environment. Because of this we offer “in-home” training at no extra charge. We train all ages. From puppies that are 8 weeks old, to adult dogs and even senior dogs. 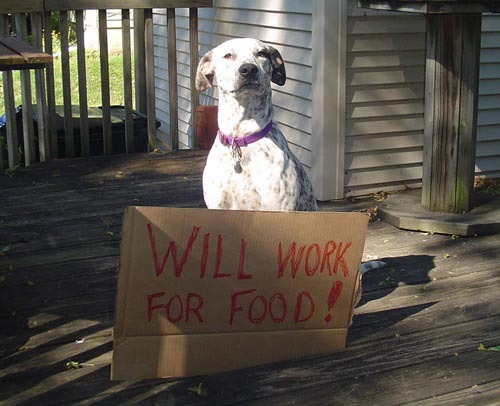 Any dog can benefit from training. Our In-Home training program begins with a home visit. This visit usually takes between 60 and 90 minutes. The visit includes an evaluation and assessment of your dog’s personality and level of experience. 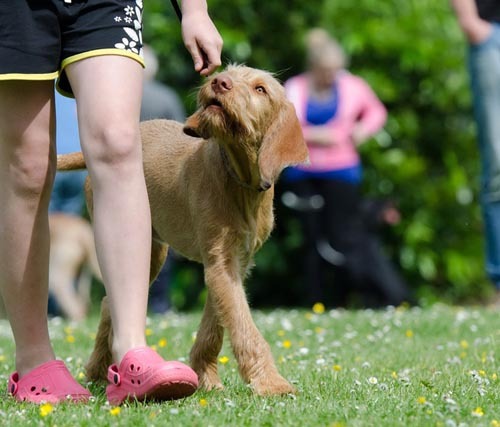 During this visit we will evaluate your dog’s understand of the basic obedience commands. We will also talk with you to find out what your level of experience is and what your training goals and expectations are. We will then put a customized plan together and set up a schedule to implement the plan. In order to be a beloved part of your family, your dog needs to have social skills and be well behaved. 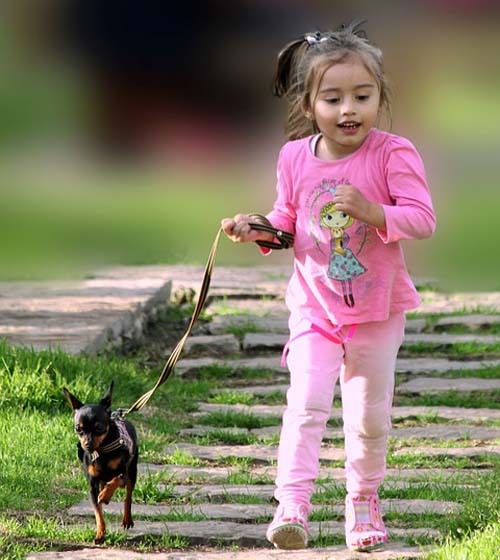 Teaching your dog to Sit, Stay, Come, Lay Down, and Heal when walking is a must. Your dog will also need to know the Off, No and Leave It commands in order to remain safe at all times. If your dog has had previous training we can help you “brush up” on that training. Reinforcing previous training does two things. 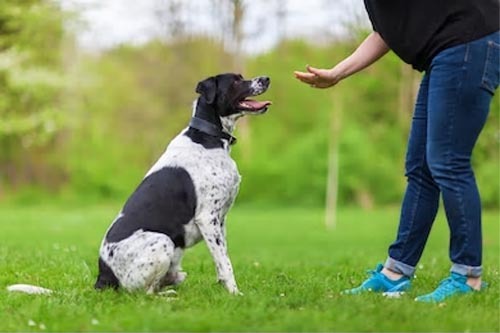 It reacquaints your dog with that command (or commands) and helps to further connect you both through the training. All of our training is done “one-on-one”. You aren’t standing around while we work with other dogs. Our training is not rushed. Our goal is to have every dog succeed so that they (and you) will have the best life possible. We customize our training to fit your dog’s needs. We do the training in your home, eliminating the need to travel to and from classes. We guarantee that you will be happy with the training your dog recieves. Your dog’s training isn’t just a one time thing. After finishing Dog Obedience Training you will need to be fully committed and prepared to do some daily training reinforcement. The old saying “Us It, or Loose It” applies here. Once your dog learns the basic commands it only takes a few minutes each day to go through each command to reinforce them. If you don’t do it, they will forget it, and you will both suffer for it. Are You Ready to Get Started? Contact Us and set up your In-Home visit Today!